This weekend my beautiful, lovely and patient wife, Susan, and I will celebrate 40 years of marital bliss - quite an amazing benchmark when you think about it. In an era when half of all marriages end in divorce, we just keep chugging along, enjoying our life together and having fun along the way. Of course, you can see why I was so smitten by her four decades ago. She was a gorgeous bride, wasn't she? She still is! Not only that, but she was the sweetest, kindest person I'd ever met - and still is. I can remember thinking what a lucky guy I was to have found my perfect bride that day when I waited for her at the front of the church sanctuary while she was escorted down the aisle by her father, I was right. I was, and am, an extremely lucky guy. 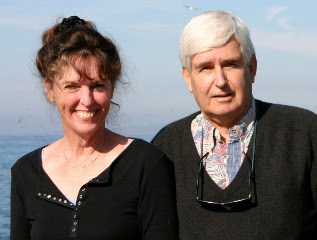 These forty years together have been a wonderful, exciting adventure, beginning with our first date on New Year's Eve of 1966. When we got married eight months later we had no idea what was ahead as we drove in my Volkswagen through the desert heading east. Back in those days gas was cheap - it cost us $29.00 to drive across the country and included a stop at Niagara Falls. Our first half dozen years together saw us move five times, traveling around the country like a couple of gypsies because my employer chose to move us from assignment to assignment as I climbed the corporate ladder. During those years of bouncing around my wonderful wife supported every move we made. She actually loved the excitement of flying to the new locations to look for housing. In those days the company flew us first class, where salads were prepared at your seat, your meal was served on real china plates and you ate it using honest-to-goodness silverware. Ah, the good old days! Finally, in the summer of 1973, we realized that we would eventually end up back at the corporate headquarters in New England again - we'd already been there twice - and made the decision to take a deep breath and jump off that safe career path and return "home". We've never looked back on that move and have remained anchored in our current home for nearly thirty-four years. More than a quarter century ago, when I decided to strike out on my own and opened my consulting practice, she took another deep breath, crossed her fingers and supported me in that giant step. We were not sure that, when I jumped off that cliff, the parachute would actually open - but it did and we've had a lovely ride ever since. Then, a few years ago when I began writing my opinions to the local newspapers and, later, in this blog, she was completely supportive. She became the Jiminy Cricket on my shoulder, offering the occasional observation and catching the frequent typo. 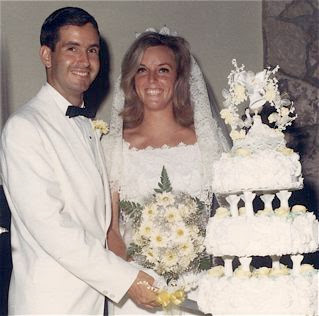 This weekend we will celebrate forty years of wedded bliss by visiting some of our favorite places, remembering the wonderful times we've had with our families and friends and be grateful that we found each other. Talk about a lucky guy! My sweet wife hates to shop and can actually still wear clothes she had when we got married. I'm a blessed man. Sometimes folks will ask how we managed to stay together so long. I think they might mean, "How did she stand you so long?" But, assuming their question is legitimate, we tell them what we tell all young people we know who are getting married - usually in the form of a poem in their wedding card, which includes the phrase, "for a long happy life, as husband and wife, always be willing to go more than half way." What we mean is, if you only go half way on an issue you have no common ground, no place to find a resolution. You just stand there, nose to nose, breathing on each other. However, if you each are willing to go more than half way, there's a little spot of common ground on which you both can carefully maneuver - kind of like a tango. Got the picture? Are you smiling? Me, too. Oh, yes, it also helps if you remind your wife every single day just how much you love her. Happy Anniversary, Honey... off we go, heading for 50! As you might remember, following a hard-fought campaign for City Council last year in which he finished third, our friend Bruce Garlich planned to serve out the remaining two years of his appointment on the Planning Commission. Unfortunately, personal health reasons forced him to resign that position earlier this year. He's been dealing with those issues ever since and I'm happy to report that he is making good progress. In addition to his tenure on the Planning Commission, Bruce has been an active and valued volunteer in many organizations in our community, including the Senior Center and the Boy's and Girl's Club Boards. He has worked tirelessly in these and other activities, bringing his experience, wisdom, leadership and integrity to each endeavor. over the past couple years. In supporting his nomination, his fellow commissioners cite Mr. Garlich's "ability to communicate complex issues in a language that [real] people understand.” He is fair, they attest, he leads by example, and he always does his homework, enabling him to ask "the hard questions." 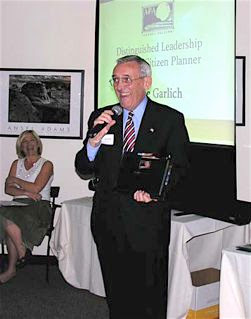 Bruce Garlich, they declare, "is an inspiration." As far as I'm concerned, that last sentence sums up Bruce's activities in this city. He has dedicated much of his post-retirement life to making Costa Mesa a better place for all of us to live, work and play. If you were fortunate enough to watch him on the Planning Commission you saw the steady hand of reason on the helm - whether he was the Chairman or not. One only has to watch the current version of the commission once or twice to see just how much that steady hand is missed. Congratulations to Bruce on this most recent and well-deserved recognition. We hope to see him back more fully involved soon. 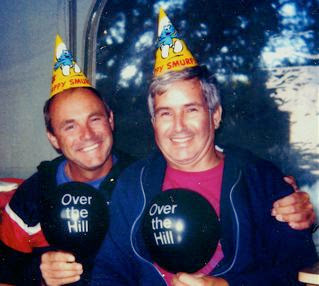 Today, July 30, 2007, would have been the 66th birthday of Larry Moore, my best friend for 57 years of our lives. Some of you know the story of his passing at the end of 2003 following a horrendous motorcycle accident. On January 18, 2004 the Daily Pilot published the following commentary. In honor of my friend, and to mark the anniversary of his birth, I've reproduced it here for you. Not a day passes when I don't think of my friend and our lives together. I recall the positive impact he made on the people around him, the love he shared with all of us and the contribution he made to law enforcement around the world. I hope that, when you read this remembrance, you will pause in your busy lives and contemplate your friends and how much they mean to you. More than that, I hope you will find a way to tell each of them how you feel. Life is short - don't wait.